Yesterday, a friend and I took an extended day trip to parts of SW Montana that were new to us. 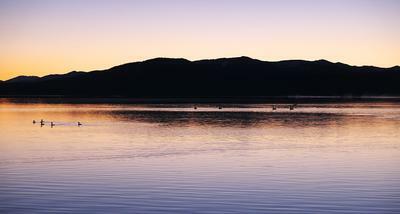 We started the night before by driving to the remote Centennial Valley. This refuge is a haven for wildlife, and we woke early to the sounds of trumpeter swans, sandhill cranes, grouse, ducks, and a myriad of other unidentified calls. The fishing started out at the picturesque Red Rock Creek. Neither of us caught a fish, or even saw one aside from a single monster trout in the 2' range. Nonetheless, it was just a beautiful and inspiring place to be. After lunch, we decided to head east to the upper Madison. This is where the fishing heated up. I was nymphing with small bead heads on my 5.4m Sagiri, while my friend hucked streamers on his 6wt. The fish were hanging out in pockets and would happily inhale a well drifted nymph. The fish especially preferred a pattern dubbed with my brother's dog's fur. 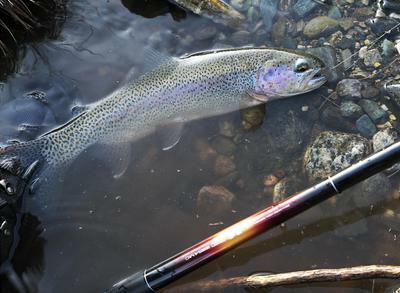 The real excitement would begin after the fish took the fly; carefully coaxing a feisty trout out of the current with a long, soft rod can get the adrenaline going. It's best to stay mobile and work with the fish to get him to want to go to the shallows. The boulder-strewn terrain near $3 bridge was perfect for the long rod and relatively short line. 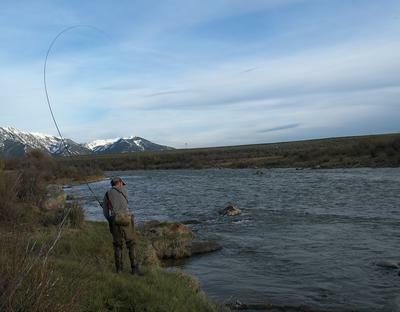 Hooking a fish on a long cast would immediately result in breakoff, as the fish wound itself around a few boulders. The long rod, however could maneuver around the boulders. Something with more backbone than the Sagiri would be nice for larger flies and the bigger fish, but there's something exciting about being a little outgunned by the fish. There's little margin for error.